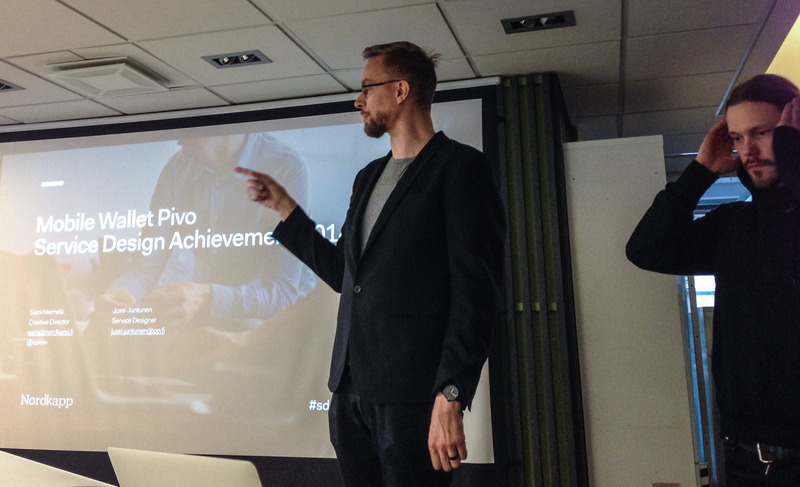 The Service Design Achievement presentations continued at Nordkapp’s office as Sami Niemelä, Creative Director, from Nordkapp and Jussi Juntunen, Service Designer, from OP-Pohjola presented the story of Pivo, the Finnish mobile wallet application. The other parties included in the Pivo project were N2 marketing, and Toinen Phd media agency. Jussi started by introducing the Pivo team that is located in Oulu, Finland. It was interesting to notice how much the team had grown since the start of the project. Jussi continued by telling a little bit of background of the Pivo. 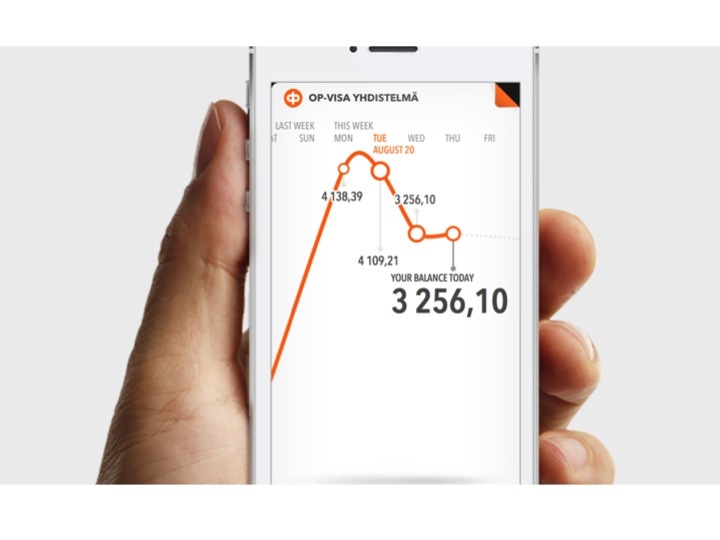 OP-Pohjola, the largest national bank in Finland, had noticed that there is a need for a Finnish mobile wallet and they wanted to create it themselves before a global competitor steps in. They also wanted to separate the new resulting brand from the OP-Pohjola brand, so they needed to create a new brand from the start as well. This was because OP wanted the app to be expanded to other banks. The aim was to create a personal financing application that offers a beautiful and effortless way to follow and understand daily consumption, and tap into various offers and loyalty programs at once. Sami and Jussi presenting the story of Pivo app. In the beginning of the project the OP’s Pivo team had free hands to start developing the app and they started to try things out, making prototypes and interviewing people. From the very start the team had a common understanding of the vision based on a moodboard that Jussi had made. They had decided to make the coolest app in Finland. They came up with the idea of “Am I broke?” -concept, which meant basically a quick glance to one’s finances in the form of a graph in the app. 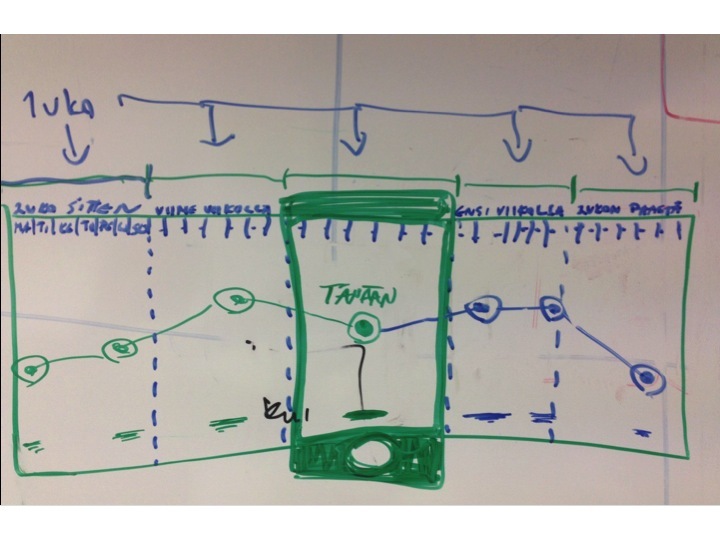 To build the Pivo app flat design was used. Nordkapp then stepped in somewhere in the middle of the project. The intense development time was approximately 7-9 months. Sami from Nordkapp talked about LEAN design and the importance of iteration, but reminded also about the “over iteration” that could possibly happen. At some point you just have to make decisions. With the brand name, for example, they came up with different name ideas like Lompsa before Pivo was chosen. A brand workshop was also held and they conceived four different brand attributes describing the brand. These attributes were; well designed, human, intelligent and credible. Jussi explained that in OP they do a lot of user research in general. In Pivo’s case it included tools such as interviews, usability tests, concept validations as well as continuous feedback. Feedback often comes in the form of emails, or as comments in Facebook and Twitter. The Pivo team then tries to react and respond to that feedback as fast as possible. Sami continued that the UI (User Interface) is the actual product in this case, and Pivo is therefore quite untypical Finnish service or product. The below pictures give a nice example how the design has developed from start of the project (pictures from the presentation). Pivo in the beginning of design process. Pivo application after the design process. The end result was a success and the app climbed on top of the Finnish app store in less than six months from the release and claimed the spot of most used banking app in the country. Pivo has also been awarded several times already. What were the main factors that lead to this success? They were things such as light process, passion for the product, frequent user research, fail fast and often, and strong vision. However, the development still continues as service development is never over. I found the Pivo presentation very interesting. It was also useful for me learning wise, as creating and designing mobile applications is a something new for me. I downloaded the Pivo app to my mobile just to see how it looks, and it did look good. Too bad I currently have a different bank, so I can’t really take full advantage of it just yet. You can check out the whole presentation in here.